Prior to obtaining his B.A. in Natural Philosophy (Physics) from the University of Oxford in 1951, professor Christopher R Hill was an apprentice at the Electrical Research Association in London. Professor Hill spent four years as a Development Engineer with Microwave and Communications Systems at the Canadian General Electric Company, before returning home to join the Physics Department, of which he started work on environmental radiation research. This was the time of atmospheric nuclear tests, and his research topic was motivated by an interest in understanding the behaviour of components of radioactive fallout in the environment. professor Hill's special interest was in the examination of the country-wide distribution of alpha-particle emitters. This was essentially early ecology, before the subject became known by that name. professor Hill is possibly the only person to have been involved in measuring radioactivity in milk and people's thyroid glands, following both the Chernobyl reactor accident and the British incident at the Windscale reactor in 1957. Following the cessation of atmospheric nuclear testing around 1960 Professor Hill was intrigued by work being done by people such as the late Dr. William Fry, Illinois on the ability to focus and direct ultrasound energy so as to create trackless lesions deep within the body, and the possibility of applying this approach to treating cancer. Initially, however, he felt that research was required to better understand the mechanisms of the biological action of ultrasound which produced these effects. He began work in this area by getting together with the Biophysics Section of the ICR (then under Prof. L. Lamerton) who had developed useful methods of tumour cell culture for studying the action of X-rays. He was soon publishing papers on the biological effects of ultrasound, cavitation and the calibration of ultrasonic beams. It was at this time that Professor Hill started to demonstrate his ability as a supervisor, which has led to a long line of successful PhD projects. Without losing his basic interest in the bioeffects side of medical ultrasound professor Hill's attention was drawn towards the things that were happening in diagnostic ultrasound at the time (1968). With help from David Carpenter, an engineer on a year's sabbatical leave from George Kossoff's group in Sydney, and engineers at the Institute of Cancer Research, it was not long before the 'Royal Marsden scanner 'was built. This seems to have been one of, if not the first grey-scale contact B-scanner (before the arrival of scan converters). It incorporated a motorised scanning gantry and a 3.5 MHz focussed transducer, unusual at that time. It had occurred to a small number of researchers that the diffuse echoes originating from within macroscopically homogeneous tissues might carry diagnostically important information. The display of such echoes on the grey-scale system heralded the beginning of the broad research programme on the physics of ultrasound-tissue interactions and their application in tissue characterization, which is still continuing at the Institute of Cancer Research (ICR). 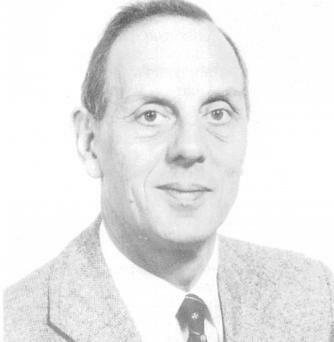 Professor Hill was the joint winner of both the first and the second 'Ultrasound in Medicine and Biology Prizes' (1982/3), and with his research group was awarded the 1982 British Institute of Radiology Barclay Prize.He is either sole author, or co-author on more than 200 research papers. He is editor of at least seven books and conference proceedings on aspects of medical ultrasonics, holds three patents, and has recently edited (largely written) a book on the Physics Principles of Medical Ultrasonics. Over the years Professor Hill has served on many committees and, in particular, has been a guiding influence on British Medical Ultrasound in his role as president of British Medical Ultrasound Society during the years 1976 to 1978. He has been Professor and head of the Department of Physics, Institute of Cancer Research, Royal Marsden Hospital, Sutton, and Chairman of the International Electrotechnical Commission Working Group on Medical Ultrasonic Equipment for the period 1970-81, President of the European Federation of Societies for Ultrasound in Medicine and Biology (1978-84), Secretary of the World Federation for Ultrasound in Medicine ana Biology since 1979 and Vice-president and President-designate for the BIR (1986-1990). excerpted from a biographical citation by Jeff Bamber of the Institute of Cancer Reserch, Sutton, England, which appeared in the British Medical Ultrasound Society Bulletin no. 44.